Puglia Italy has never been on my map with places to visit in this lifetime. But after seeing some pictures from Bari and others from Polignano a Mare, I did not have much to decide to get here as soon as possible. I immediately bought Bucharest-Bari airplane tickets and started planning my holiday in Puglia Italy. Puglia is the region that covers Italy’s heel. It’s not very popular and well-known for tourists because when you compete with Rome, Sicily or Tuscany it’s hard to stand out. But precisely because it is not as popular as the others, I have met here the true essence of Italy: crazy traffic, people gesticulating and some amazing courses prepared in family restaurants. Note: This article contains affiliate links marked with *. If you purchase a service from those links, I will receive a commission without you paying anything extra! So, you can support the blog at no extra cost. The decision to purchase the services remains strictly up to you! We did not have much time to look at the best accommodation in Puglia Italy. Because we landed in Bari, we also booked an apartment here. When we got there, we realized that we could have looked for accommodation south from Bari because we had a car to drive around (and perhaps that would have been wiser). 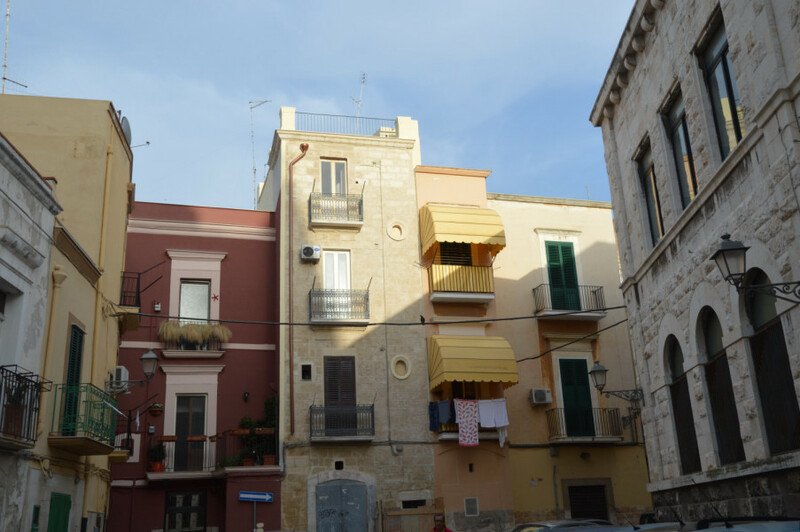 We spent three days in the region 50 km south from Bari so we would have saved the time driving if we booked something in Polignano de Mare or even in some isolated village. But Bari was also a great base to explore the area. Because we booked something in the city I chose a place with a parking lot (a very rare thing here). If you want to stay in the largest city of the region, it is best to look for hotels in Bari Italy *. 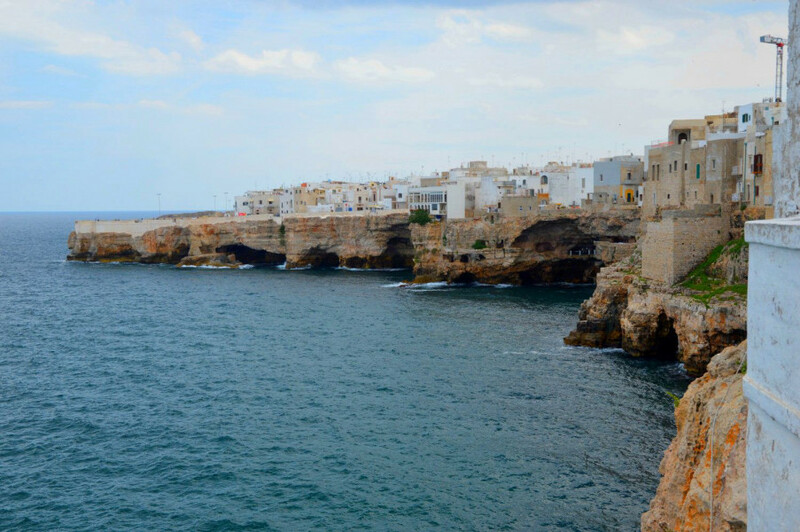 We rented a car during the holidays when we had several cities to visit and that was the case of our holiday in Puglia Italy. I read there are buses and trains that can be used to move between cities, but their schedule was not convenient. We needed flexibility, mobility and, most importantly, a way of transport to carry a lot of stuff (and not in the back). 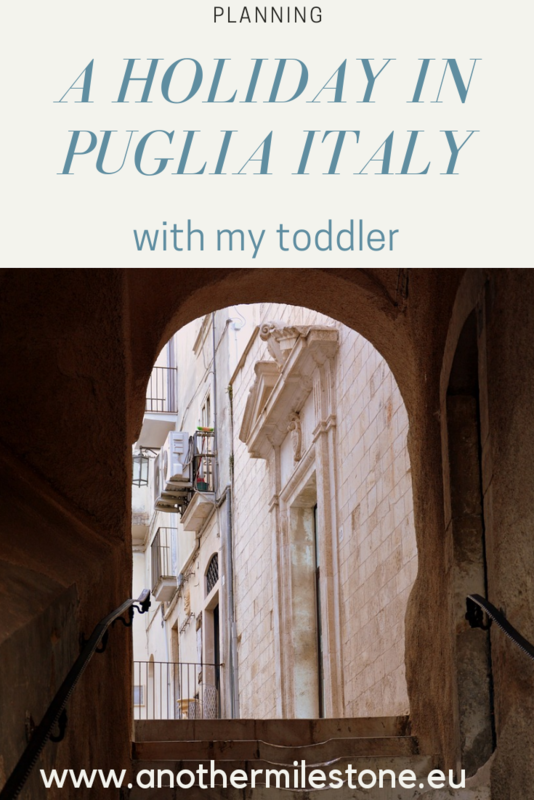 Our 1 year old child joined us on our holiday in Puglia Italy. So the option to ride a bus with stroller, backpack, a few toys and the little one walking but mostly asking to hold him was not actually an option. The rented car was the solution. We’ve weighted some choices because the baby’s car seat was about a third of the total rental cost, but we paid the comfort in the end. When you have lots of luggage, of course you are thinking to rent a bigger car. The price difference was not significant, but by luck I found a travel guide for Puglia Italy saying you need to take the smallest car you find. We did that and it was well that we’ve listened him! We passed that car on such narrow streets that we did not think you are allowed to drive there! And this choice also helped us in traffic, the “dream” traffic of Puglia Italy. We were used with the madness in Romania and we belived nothing can surprise us. But the Italians have their own style. It seems like there is no speed limit and no clear limits of parking places. They go on the idea “Let’s both squeez in somehow…”. Yes, driving in Puglia Italy is an experience itself! If you do not want to complicate your life driving in Puglia, an excellent idea is to stay in Bari and take day trips from Bari* to the main attractions in the area. These colors have the same significance all over Italy, but every city has different parking fees depending on the area. 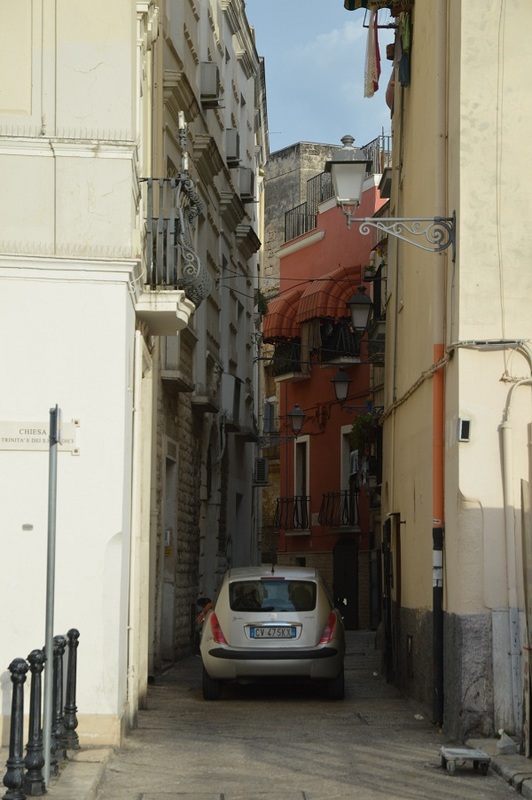 Before arriving, I had a list with some streets with free parking in Puglia. But in some places we preferred to pay to walk less. 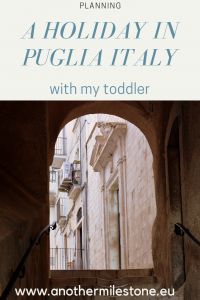 How is a holiday in Puglia with kids? As soon as I arrived, I realized that a road trip in Puglia with kids is not an inspired choice. No matter how beautiful the cities in the region are, all of them have the city center paved with bigger or smaller cubic stone and some even have slopes. To push the stroller on those streets is a mess both for parents and for the shaken child. I did not think about it when I made the choice, but we tried not to limit ourselves for this reason. With the baby in my arms, with him in the wearing system and the luggage in the stroller, we visited every place on our list. Lunch was another challenge. We were used with active holidays, with visiting a lot and eating 2 meals a day (in the morning and at 5-6 in the afternoon). But the baby needs 3 meals a day and snacks. And when we found all the restaurants, shops, pharmacies closed for siesta on the first day at a normal lunch hour in Romania (1-2 p.m.), we gave him fruits and biscuits instead of lunch. And from the next day we started to take supplies with us. 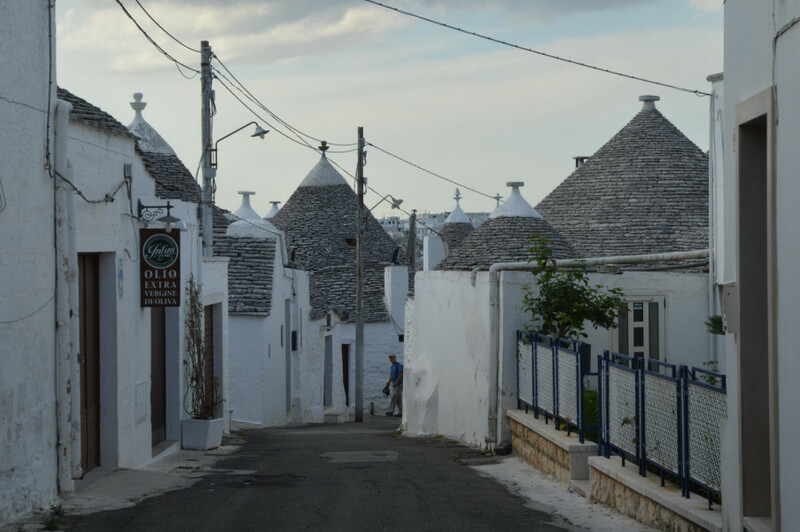 Apart from these small shortcomings, Puglia has surprised us pleasantly many times. We also got used to their infernal traffic, to pay mostly cash (because most of the shops and restaurants don’t have card readers) and to communicate with hands because we rarely found someone to speak English. I discovered here an Italy still unchanged by tourism, an Italy like the one in the old movies that I yearn to meet on every trip! Posted in Copii, English, Italia, Pe unde ma poarta pasii, Puglia and tagged baby, Bari, cazare, copil, hotels, italia, italy, mare, sea, transport. Bookmark the permalink.